Never Trump ideologues and pseudo-intellectuals in the mold of Ben Shapiro are continuing to showcase their ignorance with their responses to the “crazy” radical agenda promoted by national and state Democratic leadership at the highest levels. Confiscatory taxation (in reality, nationalization of private enterprises)! Complete government takeover of the health care system with a ban on private insurance (and coming up next: service) providers! Murder of newborn babies! Stopping all support for Israel! Voting for non-citizens! Completely open borders with no immigration enforcement on the borders or inside the country! All of these “policies” have been proposed by Democratic presidential candidates, governors, and representatives. None have been withdrawn or condemned by the leaders pf the Democratic party. In response, Ben Shapiro tweeted that Trump’s unpopularity does not imply that the American people support the above policies and suggested that the Democrats were failing in the ONE JOB THEY HAD, which was to avoid the crazy talk. This comment is incredibly shallow thinking because it assumes that the Democrats view their “job” as winning elections within the legally constituted American system as it has been functioning (with some modifications) for a quarter of a millennium. In reality, nothing could be further from the truth. Democrats have zero interest in achieving political power in America using legal means. Their goal, as is the goal of revolutionaries and specifically communist revolutionaries ever since there were revolutions, is not to win power in America as it is now, but rather to destroy America, tear it to the ground, and rebuild in its place a completely different political entity, one in which they will have total power without the need to ever ask for it again from the American people. The complete destruction of the past is a foundational tenet of the revolutionary communist movement, a movement that has now taken over the Democratic Party. 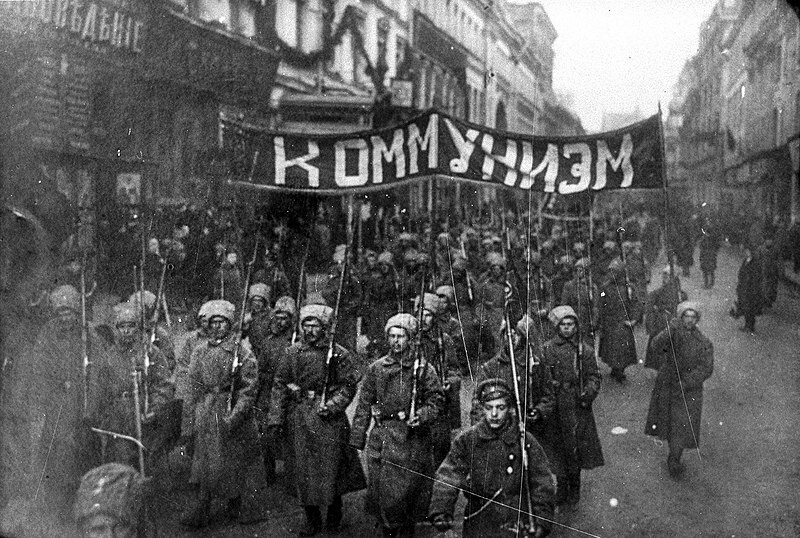 When the Bolsheviks took power in the Russian Empire in a coup d’etat after sustaining heavy losses in the 1917 general election, they proceeded to methodically dismantle it brick by brick, a job that took only ten years to complete. First, they signed a surrender pact with Germany even though after three disastrous years Russia was beginning to gain the upper hand on the Eastern Front of WWI. Then they disbanded the Russian Army and Navy and reneged on all financial obligations of the Russian Empire making its currency worthless. Then they proceeded to loot every last asset that was held in private hands, whether it was the nobility’s town houses, country estates, priceless works of art, holdings of the Russian Orthodox Church, factories, agricultural equipment, and everything else. Anything that could be sold abroad for gold, was, and anything that couldn’t was simply burned to the ground. Monasteries and country estates that stood for centuries and could be used by the state to house orphanages, museums, hospitals, were burned to the ground. Stores were closed. Factories looted. Finally, the entire educated class, doctors, engineers, managers, were sent to the camps or simply shot together with their families. Not surprisingly, Russia’s military might, industrial output, agricultural produce, population, and world standing in the arts and the sciences were utterly destroyed and (if properly accounted) have never recovered to the present day and likely never will. None of this was some sort of unwanted side effect as in “you have to break eggs to make omelet” or “chips fly when you cut wood”. Far from it. It was all intentional, planned to perfection, and precisely the desired effect. 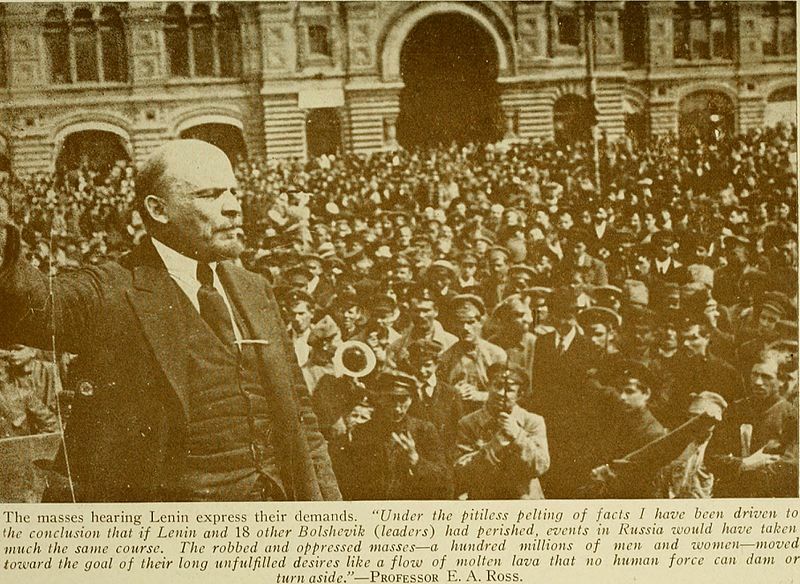 The Bolsheviks hated Russia with such a burning passion that if they failed (as Obama had said) to fundamentally transform it, they preferred that it would die rather than remain as it was. To them, it was remake Russia as a communist utopia or destroy her forever. They succeeded in the latter. I sometimes correspond with a highly educated woman, a mother, a wife, who describes herself as a “warrior against the patriarchy”. To her, if the only way civilization can survive is by staying the same as it had ever been, it is not worth saving. It is her way or extinction of billions of humans by returning to pre-civilization levels of food production. Civilization as it is now is simply not worth the price. I realize that it is difficult for people who only pretend to know history, whose only education comes from places like Harvard that haven’t been teaching the truth for the better part of a hundred years, to grasp the mindset of radical revolutionaries. They project their bourgeois motives on everyone, regardless of who they are or what they are saying. 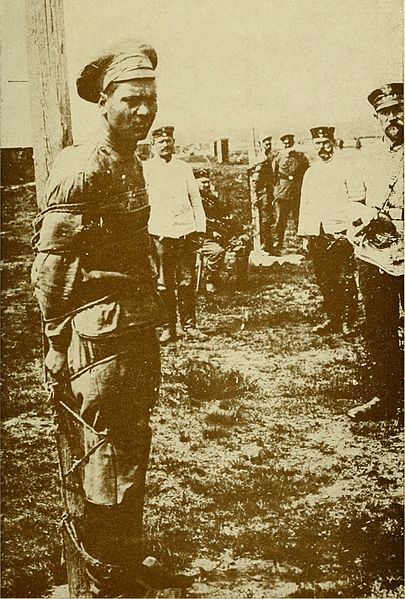 A soldier of the Red Army captured by the Whites. He confesses he is a Communist and is bound to a stake to be shot. …What made a Communist of you? He replies: The accursed life! The world needs happiness. * The firing squads are holding their rifles ready to shoot. 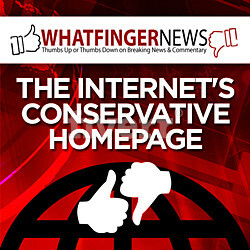 The naked Communists take their positions close to one another, forming a white wall in the moonlight. . . . There is a command, a flash and the sound of rifles. . . . 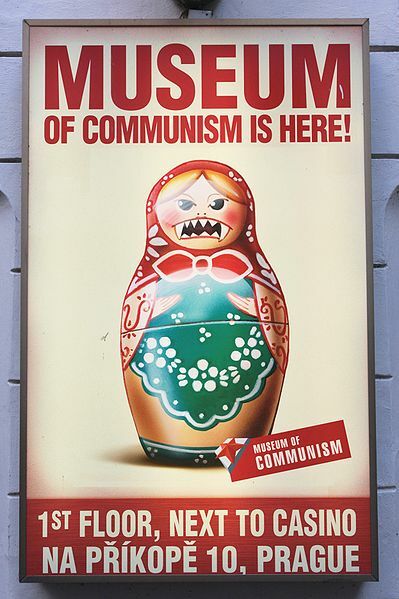 The Communists are still standing erect. A second volley rings out. The bullets strike home in their hearts, thick blood streams leap into space. Someare only slightly wounded. And in the fraction of a second before the soldiers shoot again, I hear deep sickening groans.Volley follows volley. Now those who are still alive cry out: Ho there, take better aim! One points to his heart, crying, Aim here! Finally, all are dead. Some are lying near the edge of the graves, others have fallen into them. It is all over. Nothing disturbs the quiet. II THE TRAIN OF DEATH This is part of the diary of Mr. Rudolph Bukely, a Red Crossworker, formerly a banker in Honolulu. Most reprehensibly, they refuse to open their eyes and see that far from failing in their ONE JOB, Democrats are being amazingly successful at it. Today in America we no longer mention that NO immigrant, legal or illegal, has the right to vote. The simple act of comparing citizen rolls to voter rolls is considered illegal, though it is the only way to uphold the law that states that only citizens can vote. Today in America, we don’t believe that abortion should be “safe, legal, and rare”, the Democrats’ own standard of twenty years ago. Today, the argument is only whether abortion can be performed at the time of the natural delivery of a healthy baby. Any mention of God is being eliminated from American public discourse, such as oaths of office, where it has resided for 250 years. The very language is undergoing radical change with many common usage words and expressions banned under the penalty of excommunication from public life. America the Constitutional Republic is already very close to being well and truly destroyed. “Conservatives” like Shapiro and the rest of the Never Trump crowd are tolerated by the Democrats just like various parties of the Russian bourgeoisie were tolerated by the Bolsheviks in the months between the Tsar’s abdication and their coup. They provided a useful cover of legitimacy and respectability until the Bolsheviks were ready to take over. Then they were all shot in the back of the head. Russia fell because the people who loved her, and they were by far the majority, didn’t wake up in time to see the utter hatred of the Bolsheviks; a nihilistic hatred that would rather leave in its wake a smoldering ruin than give up power. The Russian pre-revolutionary elites had, in fact, much in common with today’s American centrist bourgeoisie. Their standard of living was good and rising and Russia was a world power. Yes, there were many problems, but they could be overcome. They valiantly tried to fix the error of their ways by organizing the White army and engaging the Bolsheviks in a two-year civil war, but it was too late; Russia was gone forever, lost like Atlantis in the abyss of time. 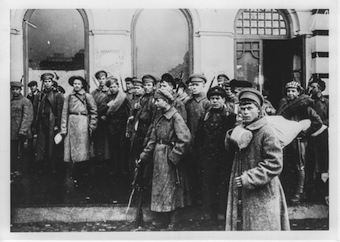 …humanity and beclouding the great days of the birth of Russian freedom. A storm of cheers, and the Congress took up the order of the day—the Ukraine, Education, War-Widows and Orphans, Provisioning the Front, Re-pairing the Railways, etc. This should have been the business of the Provisional Government. But that Government was flimsy and incompetent. Its ministers were orating, wrangling, scheming against one another and entertaining diplomats. But somebody must do the hard work. By default it was already passing into the hands of these Soviets of the people. This First Congress of Soviets was dominated by the intelligentsia—doctors, engineers, journalists. They belonged to political parties known as Menshevik and Socialist-Revolutionary. At the extreme left sat 107 delegates of a decided proletarian cast—plain soldiers and working men. They were aggressive, united and spoke with great earnestness. They were often laughed and hooted down—always voted down. In America today, there are encouraging signs that the old Republic’s immune system, though significantly compromised, yet functions. Starbucks founder Schultz, a liberal, came out recently in a fiery defense of the American free enterprise system and against the radicalism of the Democratic leadership. What does it say about the “conservative” elites that they are so willfully blind that a liberal billionaire can see the real threat of communist radicalism that America faces today far better than they can? Quite simply, it tells us that they are sellouts, weak-kneed milquetoasts, who would rather go down with the cruise ship while sipping cocktails on the Lido deck than get down in the muck and fight for the country that gave them everything they have. So be it. It’s time to end the masquerade and be counted: who wants to save America and who wants to aid and abet her destroyers by snarky remarks from the peanut gallery?